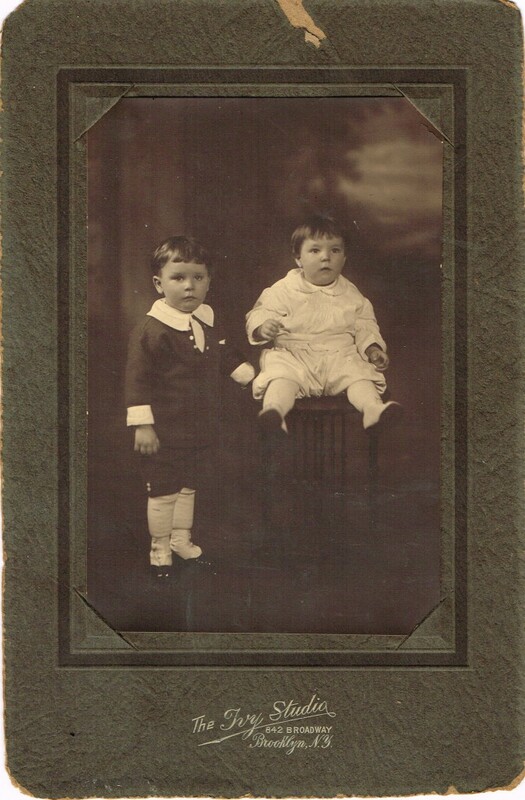 Embarked on another difficult voyage, I thought I finally spied land from afar, in a quest to repatriate to its rightful heir yet another found object, in this case a trove, rescued from the trash, of family pictures and memorabilia. 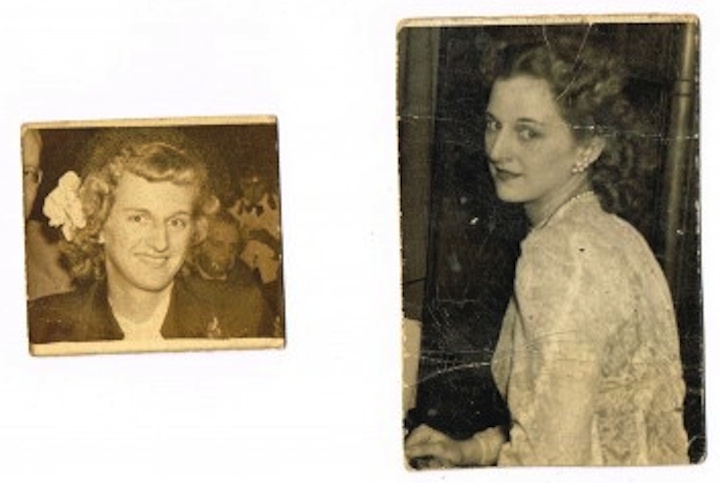 I’ve searched for Kathy Denton Saville for a good four years, my only clues to her identity being a few snapshots from the 1940s and tenuous genealogical information. 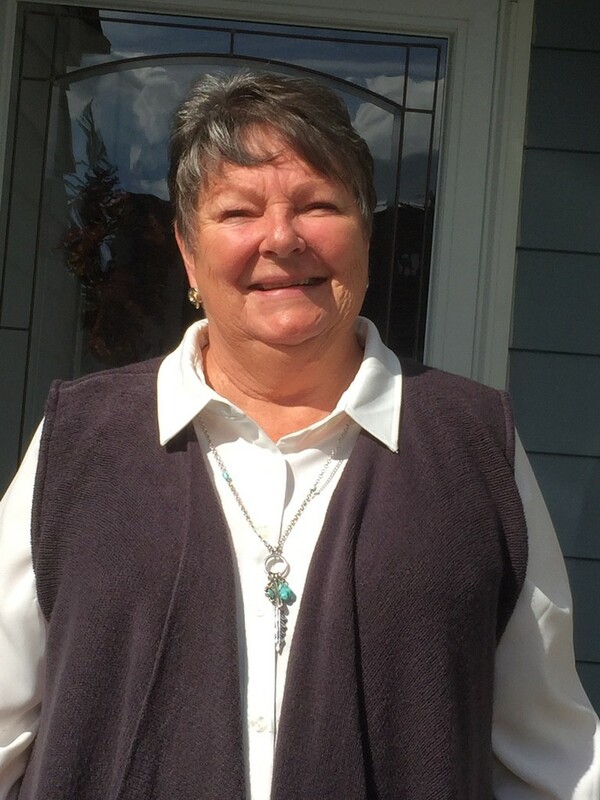 A call to me on vacation in Paris last October turned straw into gold, though, and a few weeks later, there I was, sitting at her dining room table in Central Islip, NY, tears streaming down her grateful 70-year old face. 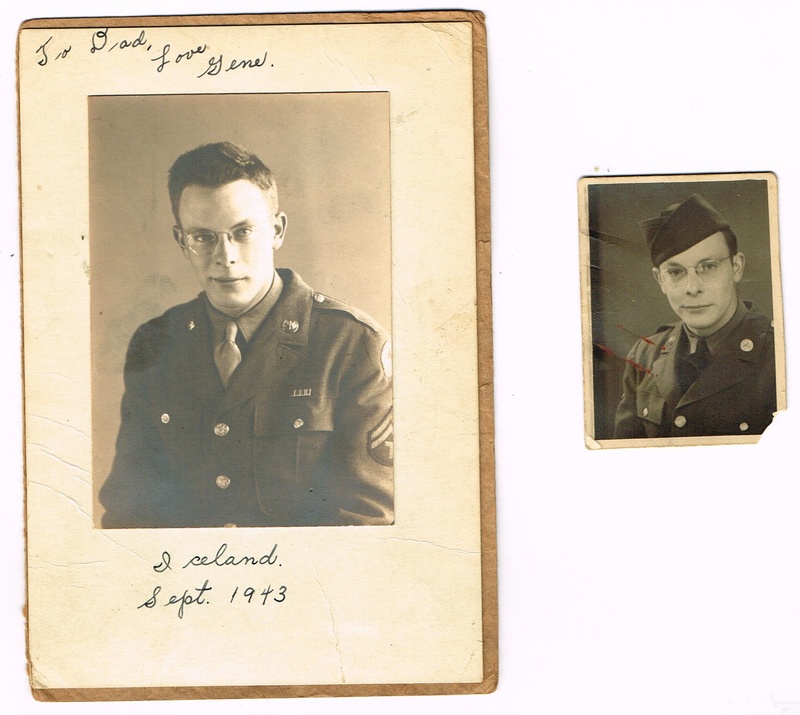 My throat choked up as I spread the tattered remnants of her World War II veteran uncle Gene’s life before us, rescued from a garbage can way out in Bushwick. 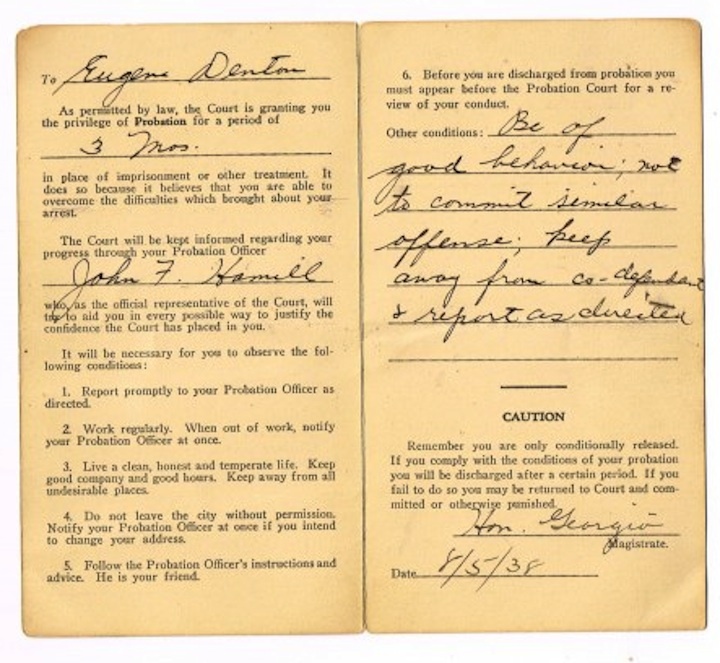 Maybe I would finally know: why were Eugene Arnold Denton’s precious keepsakes thrown into the trash? Why had no one cared when he died in 1999, age 78, alone, unwanted, and unremembered. Gene fell in love, served his country for years in World War II, lost his brother at Okinawa, then returned to a life without she whom he’d waited for, a lover whom he wanted to inherit his personal effects if something were to have happened to him overseas. 54 years more of poverty and emotional deprivation; those were Gene’s reward for a hard job well done. Hardly a hero’s story. I can’t find his remains and I can’t find her. But his keepsakes found me and perhaps it’s a closure of a sort: his name in fact not erased, his worth as a human being preserved. Uncle Gene’s fate limned loud: the final fear that haunts us all. The late, great Village Voice writer and Jewish convert, Paul Cowan, remarked during his prolonged leukemia deathbed at age 49 that there are two kinds of people in this world: those of us who are sick, and those who are not yet sick. With death, we leave our friends and family behind, to cherish our possessions, our memories, our lives. No one gave a hoot for Gene. 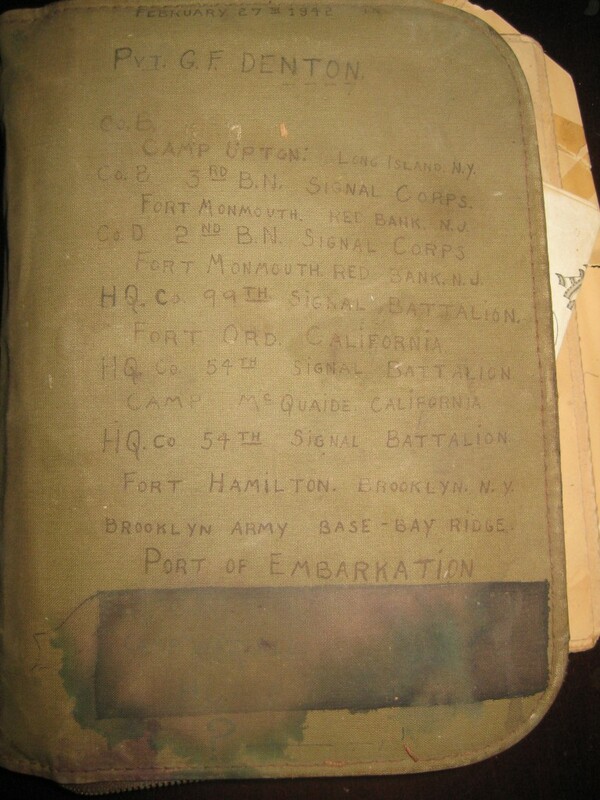 Some few years ago, I serendipitously acquired his GI khaki, canvas-clad “Filofax,” once tucked away for safe-keeping in his house at 1138 Bushwick Avenue. The zippered, worn notebook was stuffed with photos and other memorabilia of an unfortunate troubled life. Piece by painstaking piece, the picture became clear: Gene was abandoned, first by his mother, when he was ten years old, then by others. 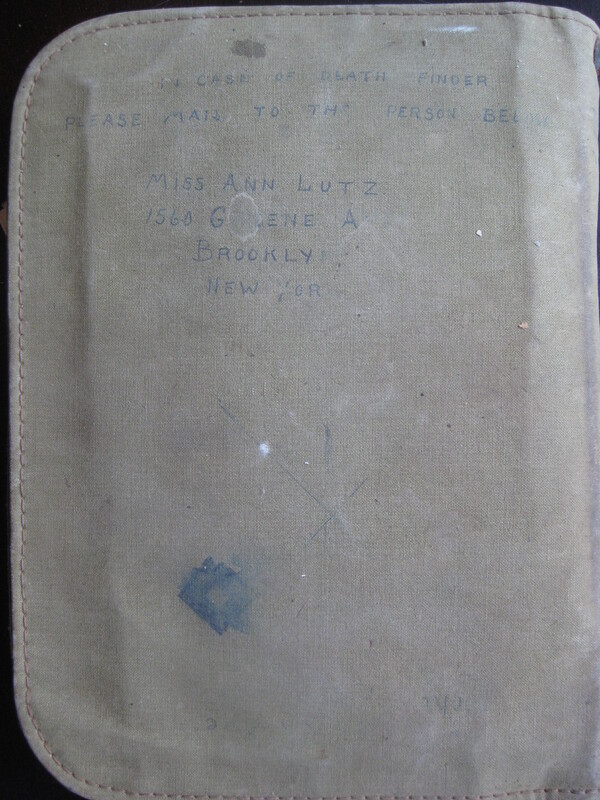 His ardent desire for someone to truly care stands out starkly in ball-point ink on the back cover of the little tome: February 27, 1942: In case of death, finder please mail to this person below: Miss Ann Lutz, 1560 Greene Avenue, Brooklyn New York. Seventy years later, I am still trying to honor Gene’s plaintive request. 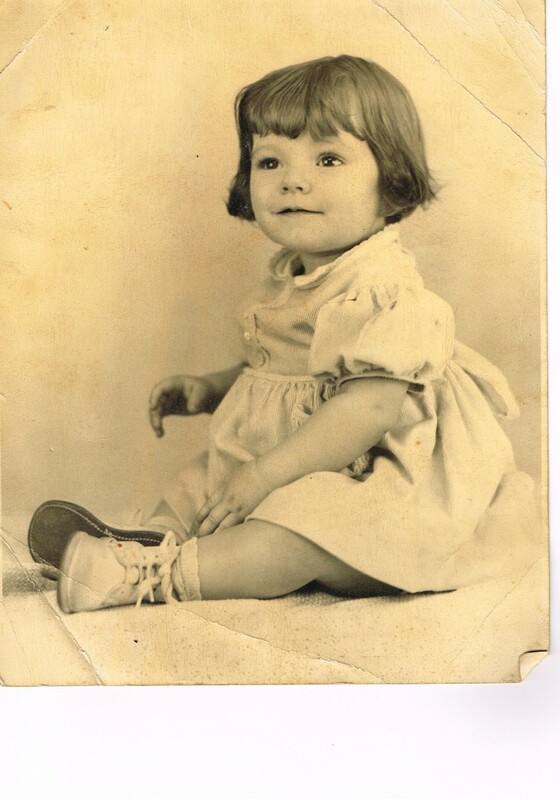 Kathleen Saville, also precious to Gene when she was a little girl, has become an aging surrogate to Ann Lutz, and despite characterizing her uncle to me as a man with the face of a serial killer, Kathleen was eager to connect, to forge a new bond. Gene never found a lasting one, his entire life. 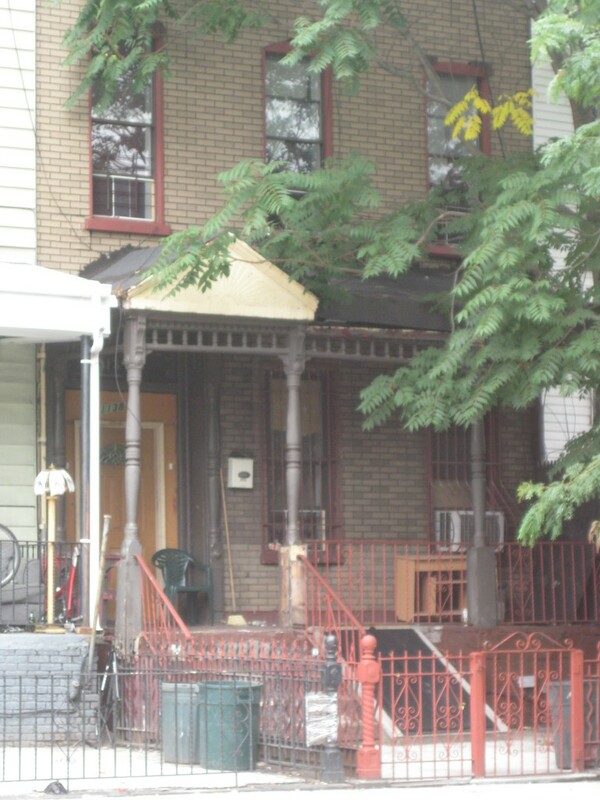 I went to 1560 Greene Avenue in Ridgewood, Brooklyn, on the off chance that some old codger on a lawn chair outside a stoop on the block might remember Ann Lutz. Up and down the block I walked, but all is changed: nary a trace remains of the German-American population that filled these streets in the 1940s. White flight changed everything two decades later. The street is tidy, but it might as well have been Mars. A hard rain fallen through a decades-long night. Gene Denton climbed this stoop countless times, bouquet in hand, but Ann doesn’t live there any more. I dare say that when Gene returned from the War, after service in both theaters, Ann Lutz had found someone else and told Gene to take a hike. Some women didn’t wait. Pain and heartbreak ruled the day for many a soldier boy, fresh back from the horrors of the battlefields. My niece Rachel worked until recently at a historical site downtown, and a curator there came into possession of the khaki notebook when another colleague acquired it from a neighborhood worker who had found it in the trash, perhaps in the basement of 1138 Bushwick Avenue during a clean-out of that dilapidated frame home. 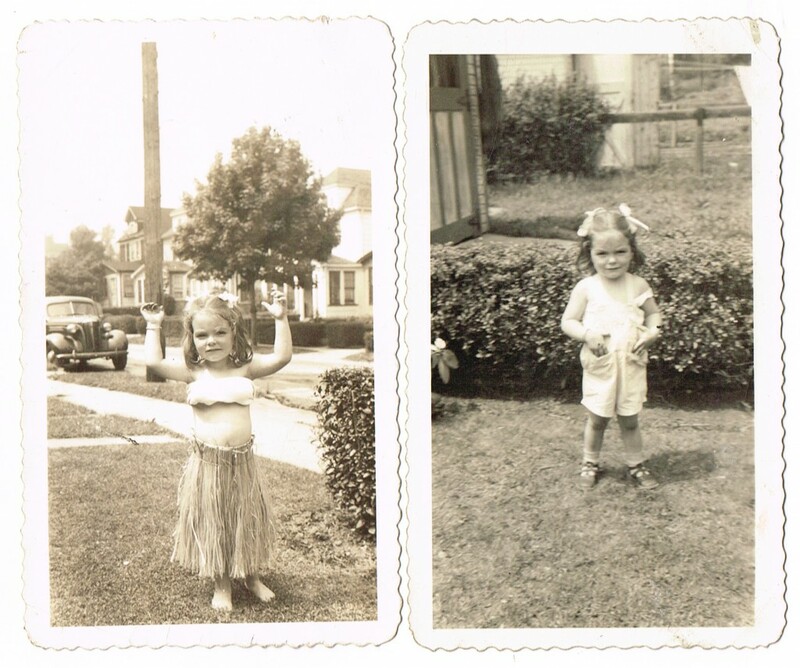 Among the photos inside were two of a little girl named “Cathy,” about whom Gene seemed to care. I had to find her. But what to do? Professional genealogical research turned up Gene Denton’s half-sister, age 83, and that woman’s two sons, men in their 60s. I spoke on the phone several times with her and one son. Neither of them was remotely interested in my cause, nor would they provide me with the critical assistance of requesting Gene’s NYC death certificate so I could pursue my research further. Obviously something had gone terribly wrong in the Denton family. Little did I know yet of the extent of the miseries. 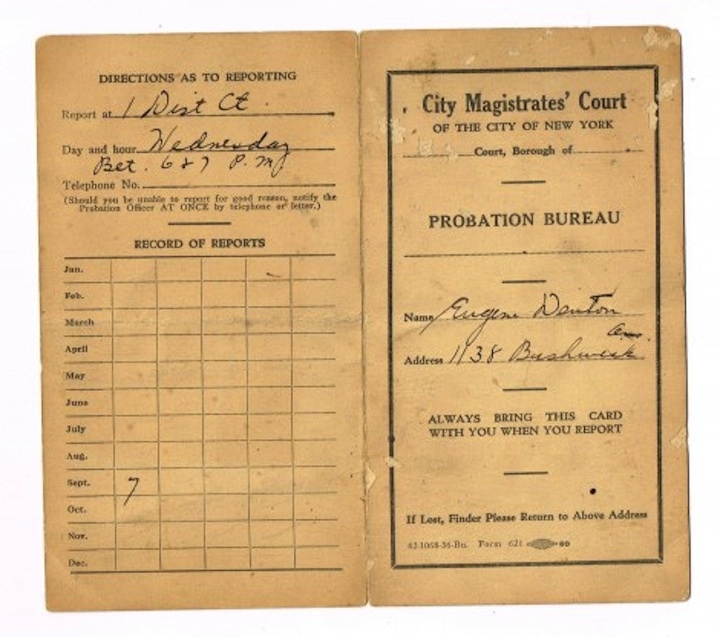 Gene Denton was a black sheep, an outcast, a hermit later in life, disliked by his family, spurned, even scorned, as he lived out his days in a racially-changed neighborhood, all white and middle-class in the 1920s when Gene was born. Today it is polyglot, and mostly of color. Hipster gentrification is creeping in. There’s not a snowball’s chance in hell of finding a single soul out there who knew Gene, much less someone who cared about him for at least part of his life. 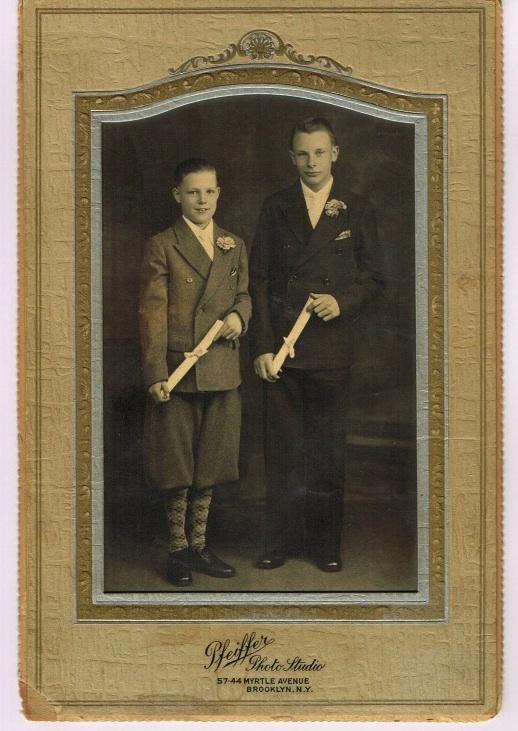 Born in 1920 to John Denton and his wife Virginia, teenage Gene suffered gravely when his parents divorced and his mother left. 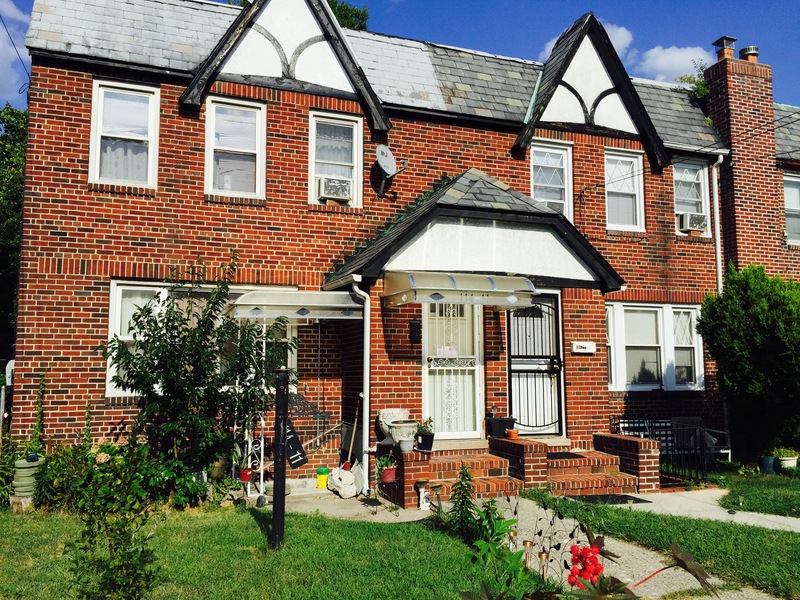 John and Virginia had moved into a newly-built row house in St. Albans, Queens in 1929. But then, Black Friday struck, and within a year, the purchase-money mortgage given to the couple by the builder was foreclosed, and the deed returned to the builder. Her husband having failed as a provider, Virginia Denton took a powder, leaving her two young sons and first husband behind for greener pastures. 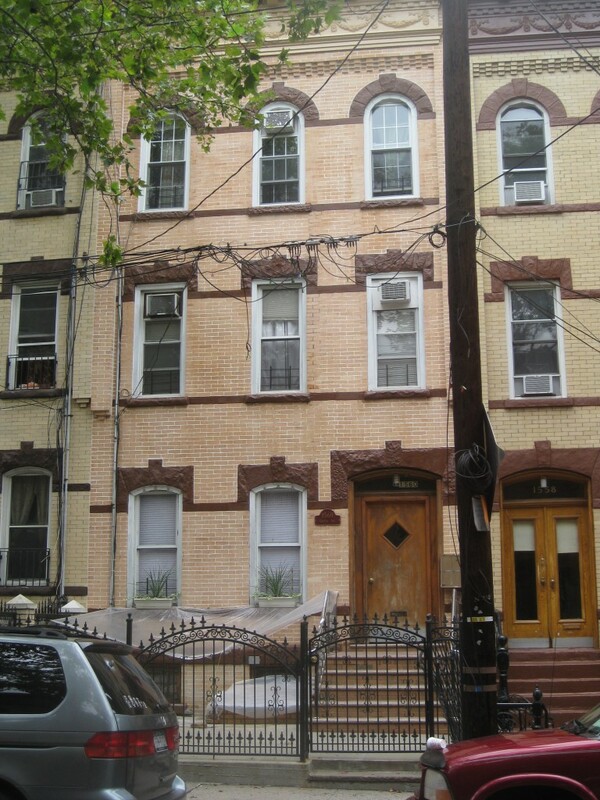 Gene’s loyalty remained with his father (with whom he lived at 1138 Bushwick) as he came of age. 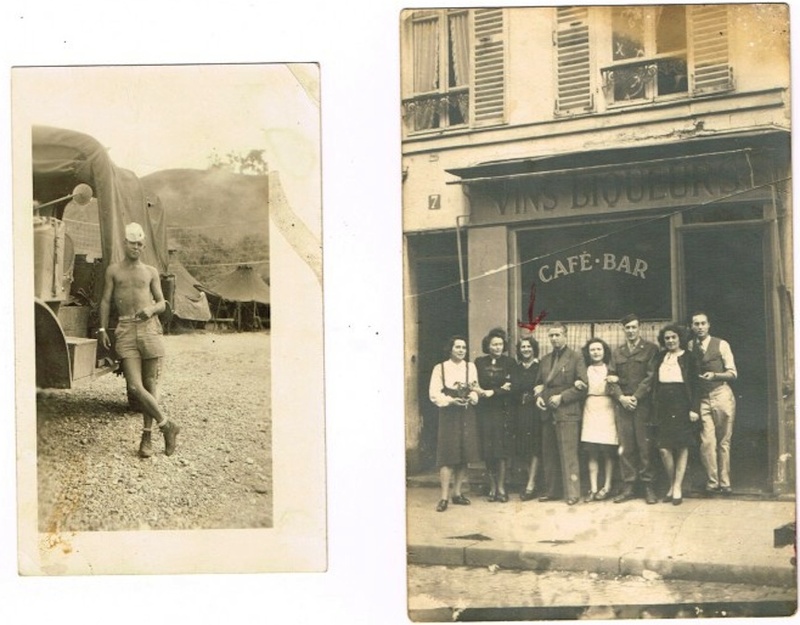 These two photos of his mother (who remarried a bottler and brewer named August Waldner from Philadelphia in the late 1930s) provide mute testimony to Gene’s hatred of his mom. 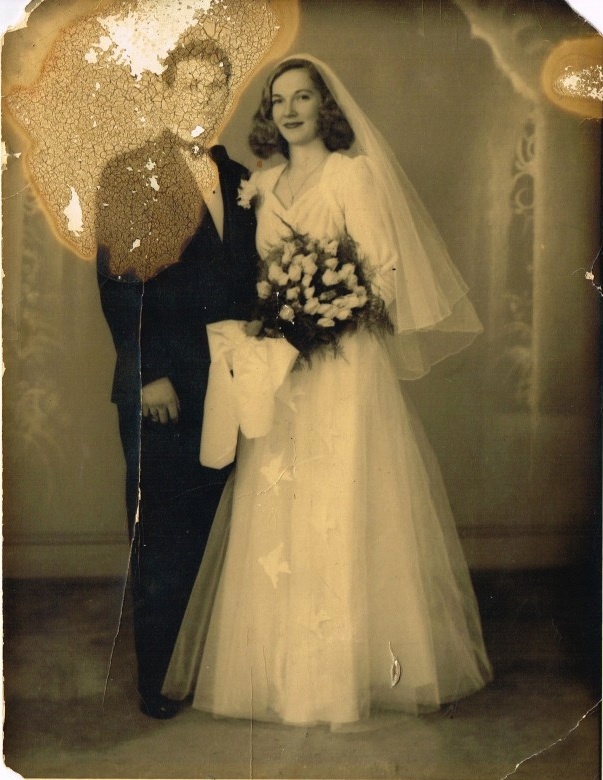 In an act that his own death would recapitulate decades later, Gene took a ball-point pen and scribbled over any identifying information on the back of two snapshots of Virginia, one taken near the time of her wedding to John and the second some years later. 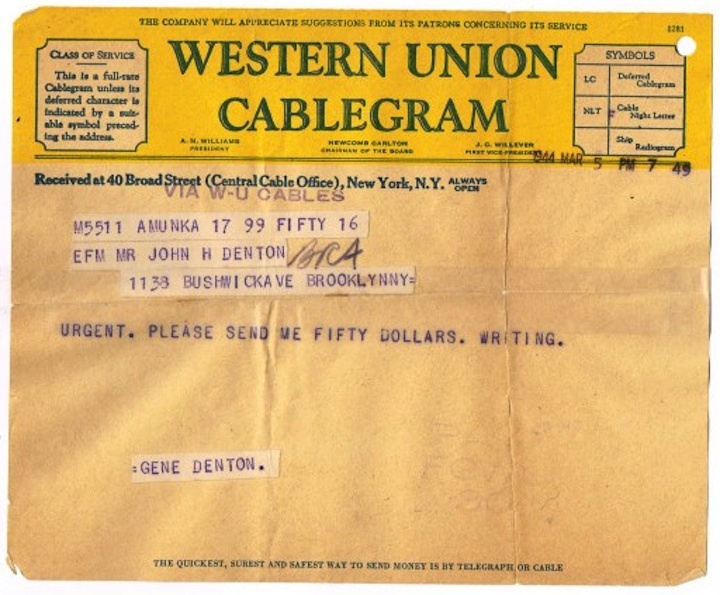 Gene’s remained close to his Dad; when John Denton died in 1968, Gene saved wartime photos and telegrams that he had sent to his father in Bushwick. Love was precious to him, but he had no one else when his father died. 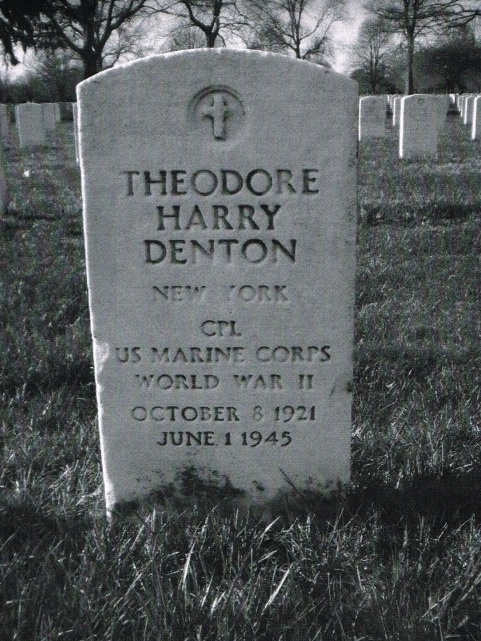 Gene’s brother, Ted, perished in the battle of Okinawa in 1945. After his parents split up, Gene got into trouble as a juvenile delinquent in 1938 and was hauled into City Magistrates’ Court and placed on probation for three months for an unspecified offense. 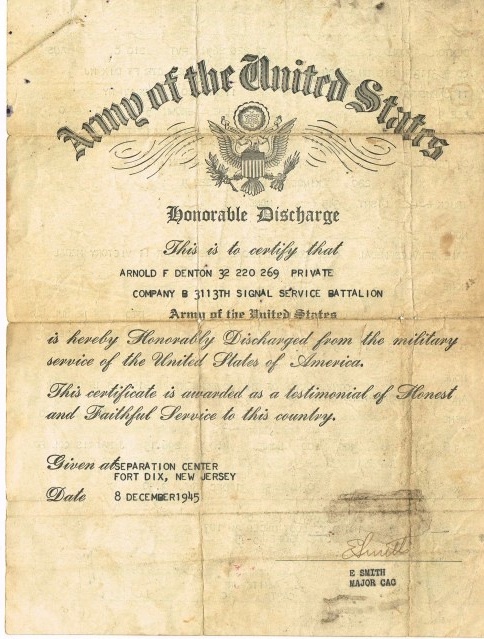 Apparently heeding the judge’s warning to straighten up and fly right, both Gene and Ted joined the military near the start of the War; Gene served in the Signal Corps and was honorably discharged on December 8, 1945 after almost four years of service. 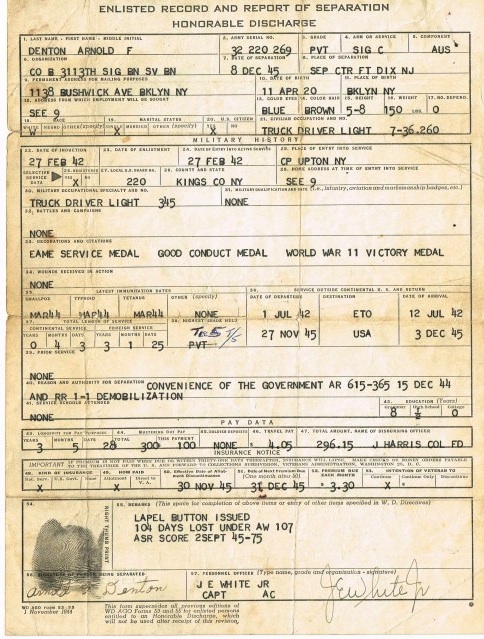 Added to his good conduct, WW II Victory and EAME Service medals, however, was another unfortunate badge: he was treated upon re-entry into the the USA for a suspected case of the clap. 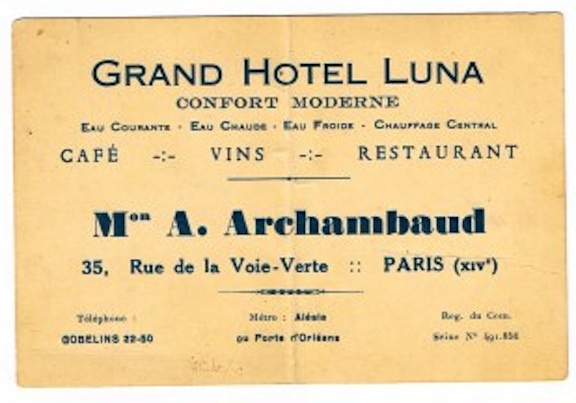 R&R in Paris after liberation in August 1944 involved a stay at the Grand Hotel Luna on the Rue de la Voie-Verte near the Porte D’Orleans. 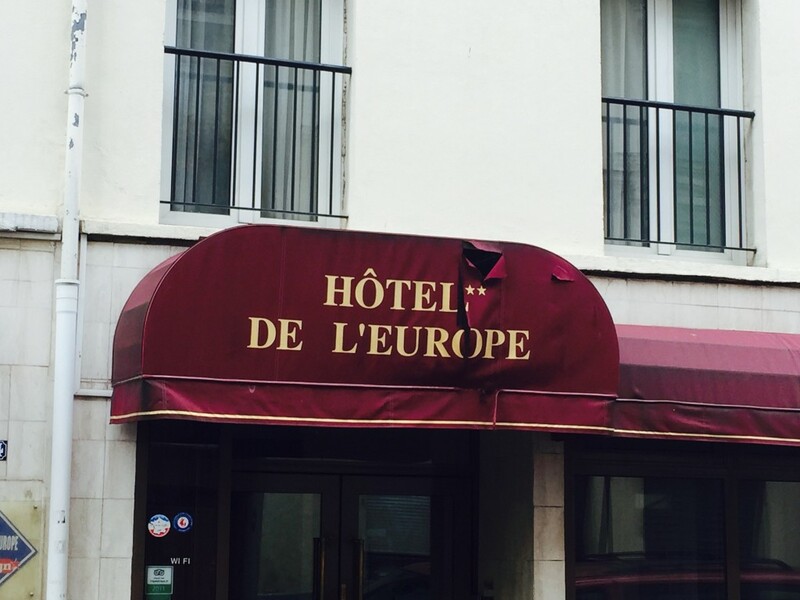 Monsieur A. Archimbaud hopefully ran a more proper establishment than the one I visited last October: the flea bag that occupies the same structure now goes by the name Hôtel De L’Europe, its canopy ripped to shreds and the breakfast tables in the lobby sticky to the touch. Gene and Ted’s mother, Virginia, died in childbirth after her second marriage when her daughter, Josephine, was born. It was 83-year old Josephine with whom I spoke recently: she says she knows next to nothing about her mother or her mother’s family or first marriage. Walls were erected and never torn down. 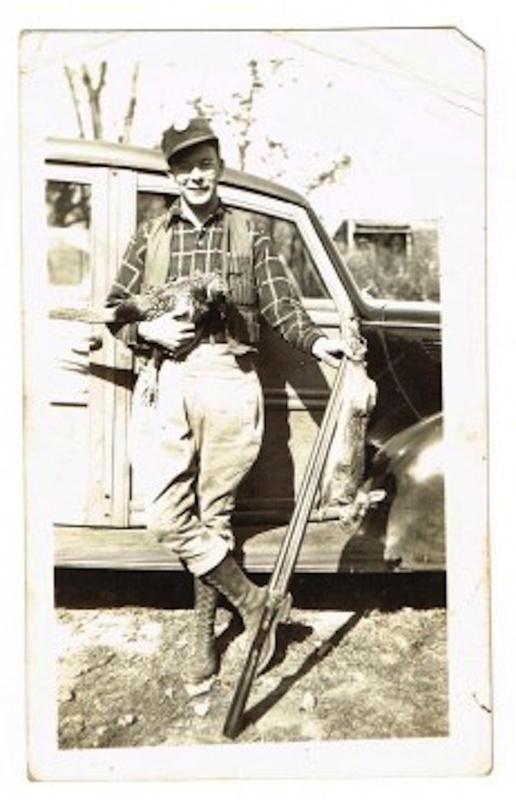 Sadness overwhelmed me as I pressed further into my research, returning over and over to the photos of the interior of 1138 Bushwick Avenue during the later years of Gene Denton’s life, to the pictures of Ted and Gene at the beach with their girlfriends, a shot of Eugene on a hunting trip, and one of whom I believe to be Ann Lutz with a wild curly hairdo. All in all, though, it’s pretty easy to see why Gene Denton was left behind to die alone. The usual suspects: bankruptcy, unemployment, infidelity, divorce, wartime separation and death. All exact a fearsome toll. Kathleen was the lucky one: too young to experience her father’s death, and “protected” from her uncle Gene by her mother Ann, (who considered him a drunken reprobate), Kathleen was adopted by Ann’s second husband, and didn’t know she was adopted until she turned 16 and her mother told her one day as she dropped Kathleen off for her after school job at a popover cafe in Long Island. Kathleen says her family life was wonderful, so perhaps something good came of all that woe. Here she is, a few weeks ago, tears dried and glad to be alive and informed. Two matters still escapes us though, me and Kathleen: Where do Eugene’s mortal remains lie? And what ever became of Ann Lutz? An exhaustive search of the cemeteries and crematoria in the NYC region has turned up nothing; he almost undoubtedly died in Brooklyn or Queens. 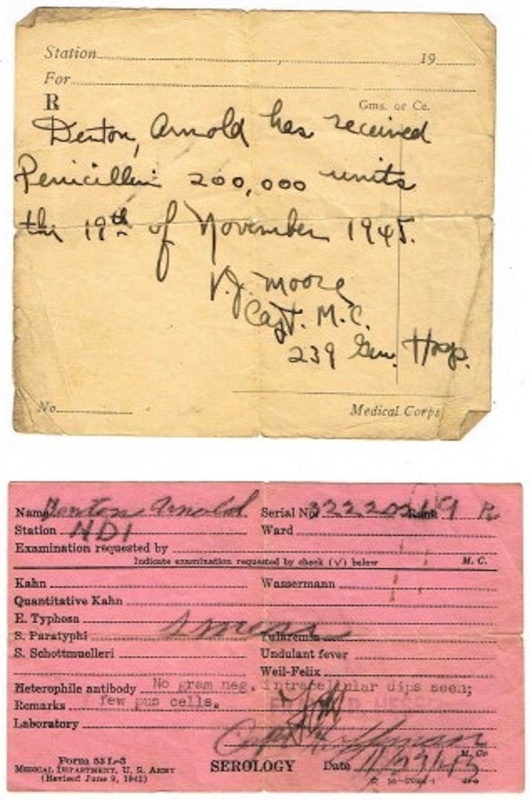 His death certificate is unavailable to us: Kathleen’s application to the NYC Bureau of Vital Records was summarily rejected for lack of sufficient consanguinity or cause. It would take litigation to force its production: another product of our identity theft world. Sadness is compounded, my task incomplete until I find Eugene’s final resting place and what happened to Ann. 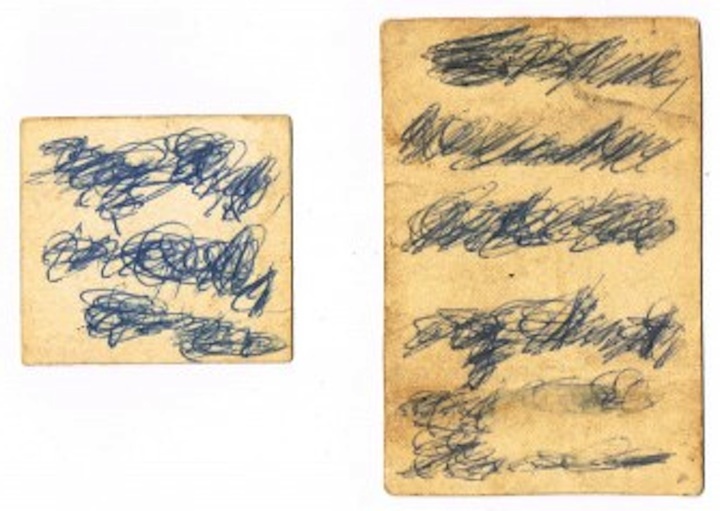 They cared for one another, but the notebook’s testimony of love almost ended up in the dump.